In the North of Namibia, en route to the untouched Bushman country and the Caprivi region, and only two hours away from the Etosha pan lies our guest farm Dornhügel. We offer you a unique combination of a guest farm with a homely atmosphere, stylish ambience and rustic farm life. Become part of the Namibian farm life – join us on a game drive, at the waterhole, have a conversation with the farmer´s family or become extensively involved on the farm and accompany our farmhands to their workplace for one day. 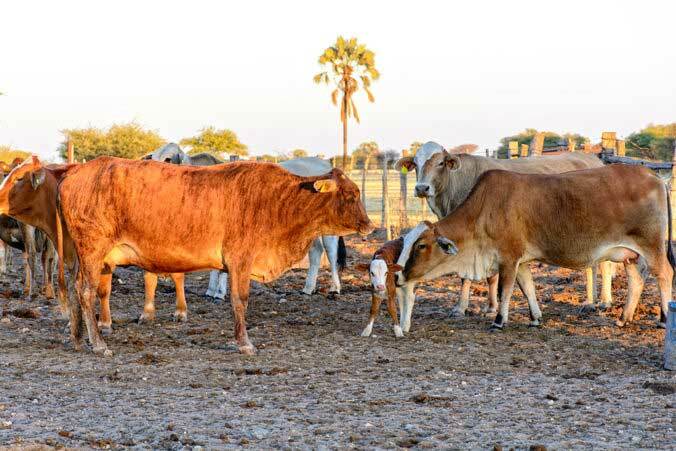 During that time you can meet our up tp 1000 cows, 50 horses, giraffes, Kudus, Elands, Dik-Diks, warthogs and other wildlife. If you are fortunate you may even encounter the timid leopard. Savor our homemade jams, juices and homegrown vegetables. Order our famous Dornhügel game steak from antelopes hunted on the farm or the scrumptious Dornhügel beef steak. Both are prepared on a wood fired grill and make us the best steakhouse in southern Africa. Your hosts Melanie and Götz are looking forward to making you a part of a Namibian farmer’s family and will welcome you in German, English or Afrikaans. The newly renovated rooms equipped with WLAN, mosquito nets and air-condition for the hot days, offer you all the comfort you will need. We have single, double and family rooms for you to choose from. Travelling with children in Namibia is no problem at all. 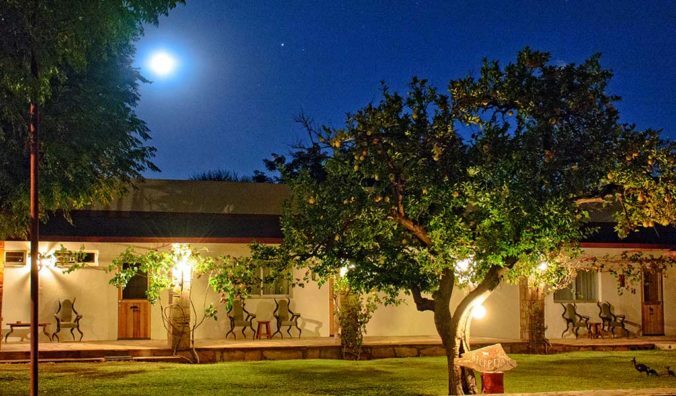 At Dornhügel we especially welcome families with children; in addition to the farming experience they also enjoy our little oasis with a swimming pool, table tennis table and the authentic Namibian tennis court. For the younger ones, we have a small playground with sand, swings and even a trampoline. Alexander, Tamira and Lea the farm children are already awaiting you! Alexander and Tamira the farm children are already awaiting you!